Our friends from Flamingo beach in Guanacaste, Costa Rica, booked the Tuna Fish vessel for a full day charter looking for billfish and some dorado. Weather conditions were amazing, blue and clear waters, sunny, and moderate winds. 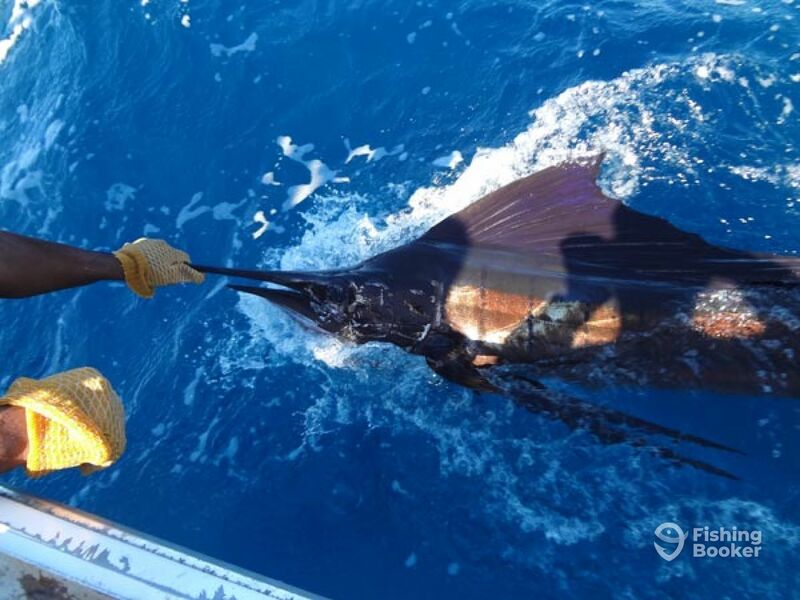 Captain Nelson took them into the southern Gulf of Papagayo to put some billfish on board. 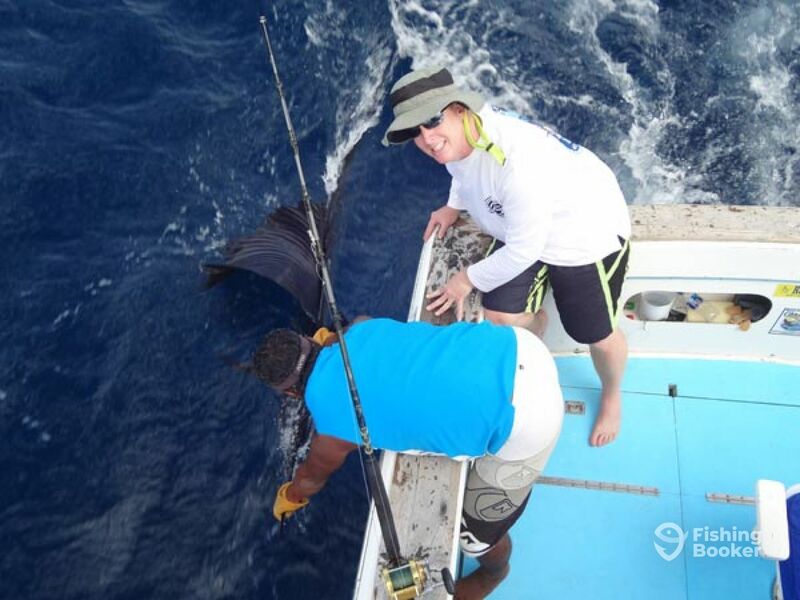 After some hours our lucky guys fought with 4 sailfish for several minutes using a 30 pound reel. We also caught one dorado, perfect for dinner. 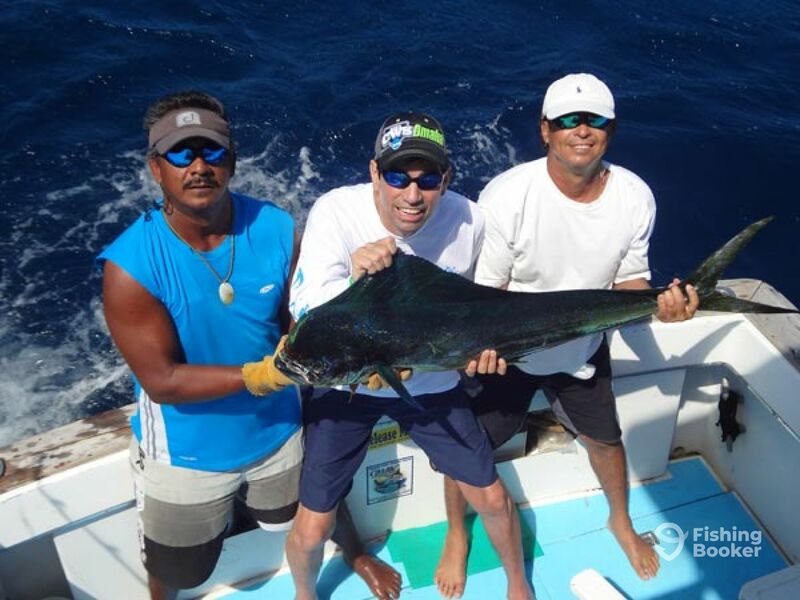 Captain Nelson is the best skipper in the Gulf of Papagayo he will do all he can to put some fish on your hands!